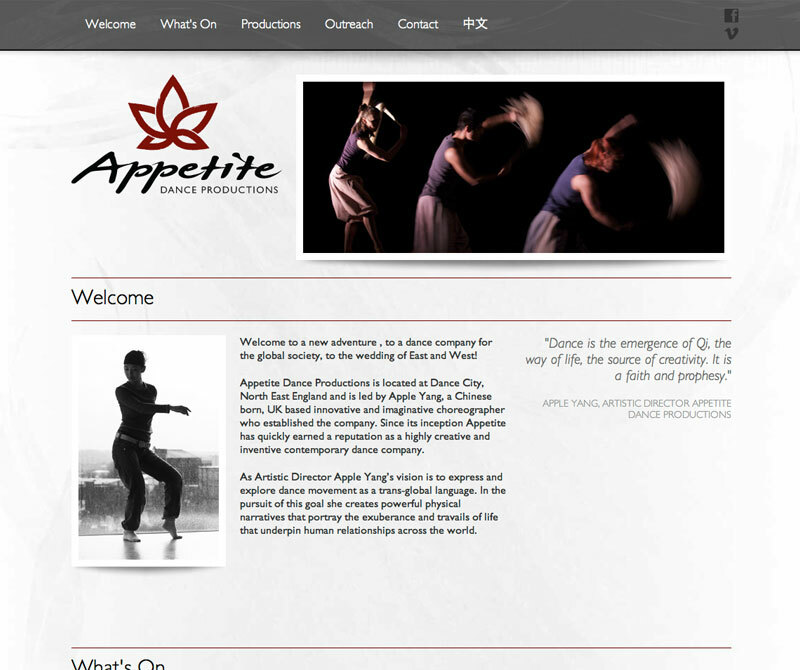 I was approached by the client to redesign their website. Central to the aesthetic and practical considerations was the nature of the business – a British and Chinese dance company. Working closely with the client, the brief was delivered in the visuals through a combination of subtle textures and colours, clean lines and oriental strokes. The single-page design was perfectly executed through the use of a fixed top navigation bar and animated scrolling. 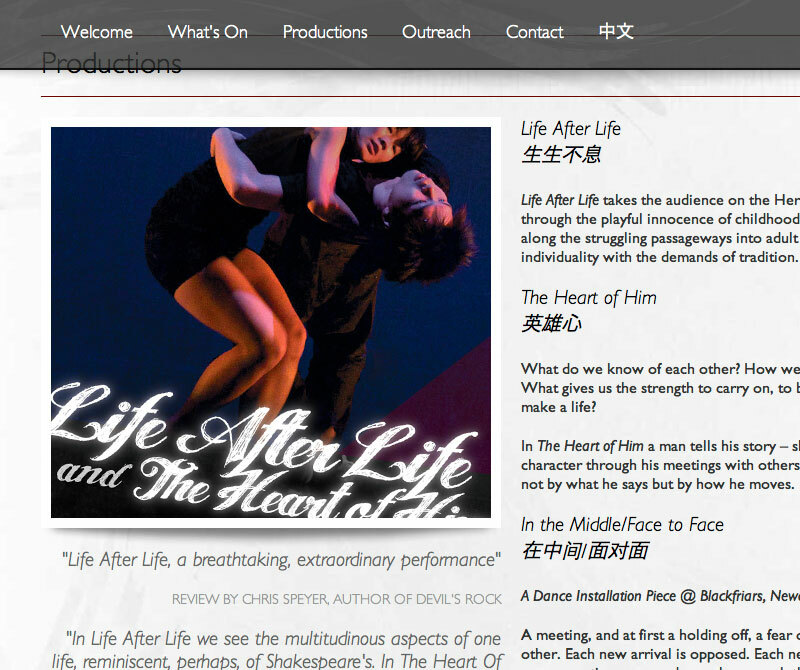 As well as adding an appropriate dynamic to the site, this also serves to orientate the user when navigating the site. 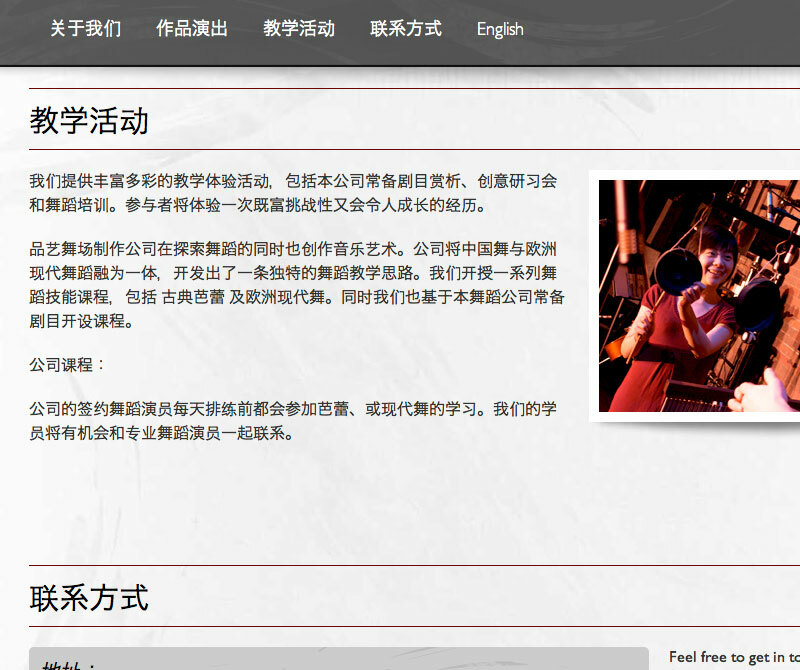 While this project was set out as a single-page website, an additional Chinese version page was also produced. 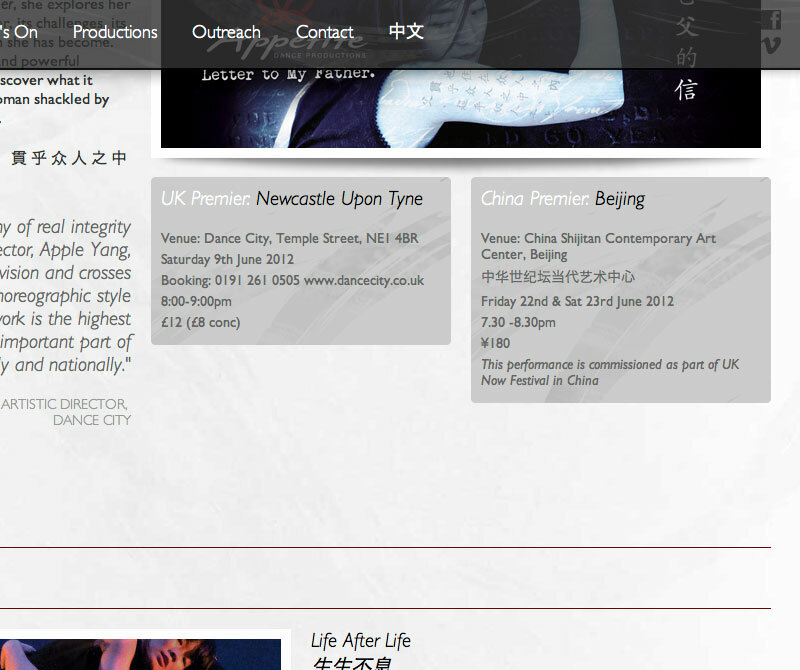 This was essential as the company tours in China and will have many Chinese speaking patrons throughout the UK.